The Australia Awards in Indonesia is seeking applications for the role of Alumni Grants Manager to be based (fulltime) in Jakarta, Indonesia. The goal of Australia Awards in Indonesia (AAI) is to enhance Indonesia's development through the contribution of internationally qualified professionals and a strong and positive relationship with Australia. This will contribute to the overall objectives of the Australian Department of Foreign Affairs and Trade (DFAT) development cooperation program in Indonesia. Key to the success of AAI is engagement with Indonesian alumni of Australian higher education institutions. AAI is supporting DFAT and the Australian Embassy in Jakarta with the development and implementation of a five-year enhanced alumni engagement strategy for Indonesia. This strategy moves beyond previous efforts to solely engage recipients of Australia Awards scholarships to also include those alumni who self-funded their study, short course award participants, and recipients of Government of Indonesia scholarships. The purpose of the strategy is to enable Australian whole-of-government engagement with alumni who can provide long-term support for Australian business, trade, development cooperation and promote Australian excellence as a global education provider. The Alumni Grants Manager will be responsible for effective, efficient and targeted engagement with alumni to support the objectives of the DFAT enhanced alumni engagement strategy, and to support the development and implementation of that strategy. To be considered for this role you will have demonstrated level experience in with alumni engagement and managing the delivery of grants, including oversight of grant policy and ensuring compliance with grant procedures and regulations. She/he should have an experience in project reporting and monitoring and evaluation. And we expect the candidate is familiar with mentoring and supervising staff, ideally in an international development context. The post will need a person with good strategic thinking and analysis preferably in a program management environment. Also demonstrated experience in developing and maintaining effective work relationships. Besides having high level proficiency in spoken, written English and Indonesian, you will need to have good knowledge of Government of Indonesia (GoI) system and approaches and understanding of the Australian higher education sector. 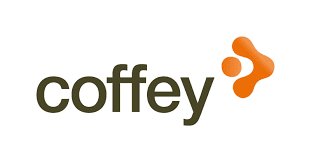 How to ApplyFurther enquiries can be directed to recruitment.indonesia@coffey.com, quoting job number 493774. Applications close: 1700 (Jakarta time) 12th September 2016.